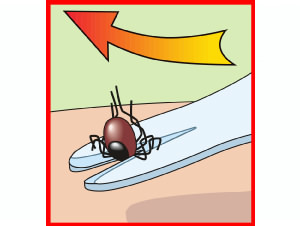 Remove ticks safely, correctly and without delay! 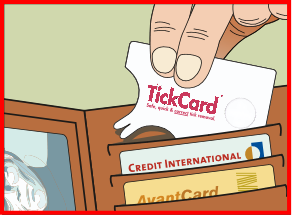 Don't delay proper removal – have your TickCard™ available. 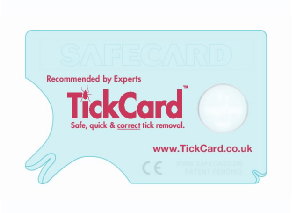 Removes ticks safely, quickly & correctly – your TickCard™ can help you avoid potentially serious disease! 1. Slip the notch of the TickCard under the tick. Then lift the front of the card slightly and gently push the card forward with steady even preasure. 2. 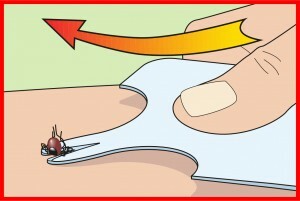 Allow the tick to let go and be pulled out of the skin easily and effortlessly. Keep your TickCard™ handy and be well prepared! 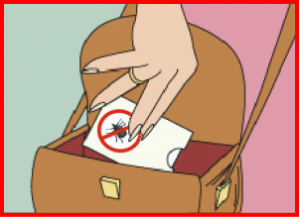 Correct removal without delay helps reduce the risk of Lyme disease infection! 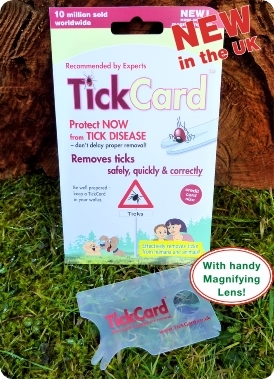 Keep the TickCard™ handy in your wallet and forget about ticks.